Abandonment issues can cause a variety of problems in a relationship, including fear of intimacy and an inability to commit. People develop abandonment issues for a number of reasons, and there is no easy fix for dealing with the problem. If you believe your boyfriend suffers from a fear of abandonment, you can help him deal with the problem in several ways. The most important thing to remember about issues of this nature is that you should be patient while your boyfriend works through the necessary emotional steps. Encourage your boyfriend to see a therapist. Therapy is one of the best solutions for dealing with deep-seated issues like a fear of abandonment. Help your boyfriend to identify where this problem may have originated. 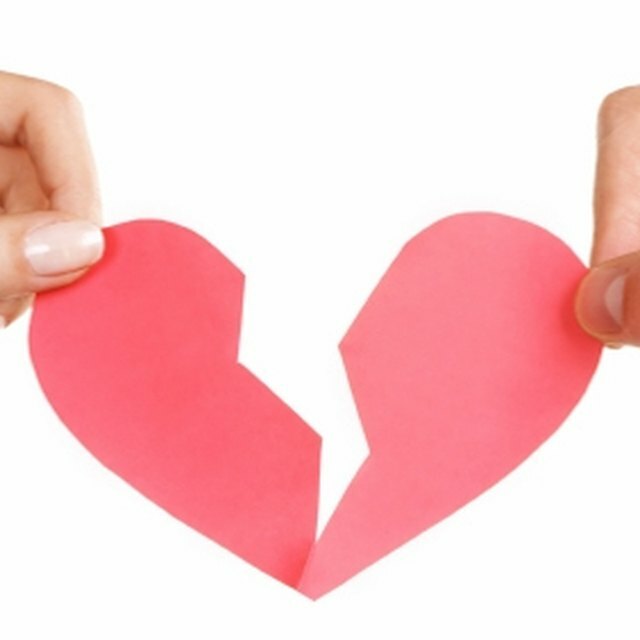 Knowing what caused his abandonment issues is key in repairing the damage. Work with your boyfriend to address the emotional and developmental needs that were not met because of the initial abandonment event. Additionally, help your boyfriend to understand that whatever happened in his past was likely not his fault. Show patience with your boyfriend. Overcoming an issue as vast and complicated as a fear of abandonment can take months or years. Showing your boyfriend that you can be trusted to support him over long periods of time will go a long way towards healing the emotional scars. Help your boyfriend to develop new, healthy relationships with people that can challenge him to grow emotionally. Strong relationships are an important part in finally overcoming abandonment issues.